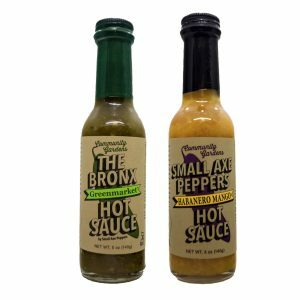 Bronx Hot Sauce is made from serrano peppers grown in over 40 community gardens throughout The Bronx. 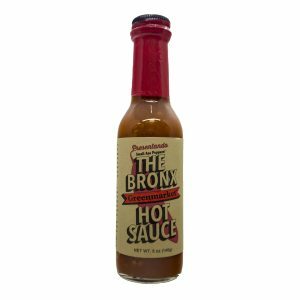 Each bottle of Bronx Hot Sauce directly supports the gardens and gardeners who make this delicious product. 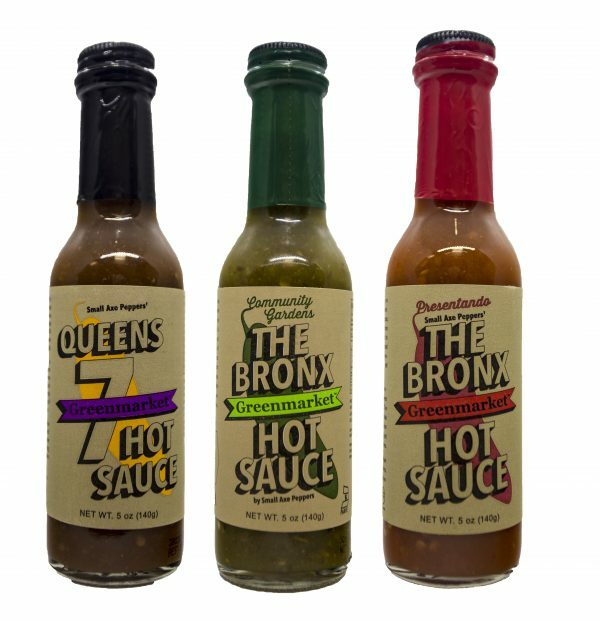 The Bronx Greenmarket Hot Sauce captures the borough’s unique flavor with a recipe from acclaimed Bronx-educated Chef King Phojanakong, using only six all-natural ingredients. 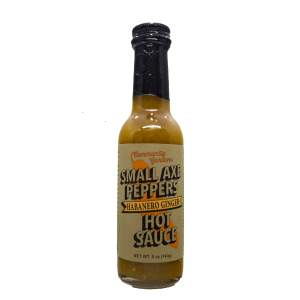 Queens 7 Hot Sauce is made from jalapeno peppers grown in community gardens throughout Queens. 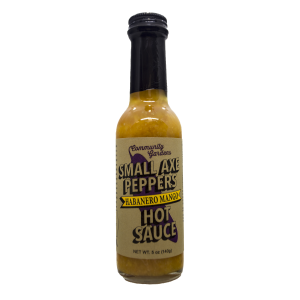 Each bottle of Queens 7 Hot Sauce directly supports the gardens and gardeners who grow this delicious product. 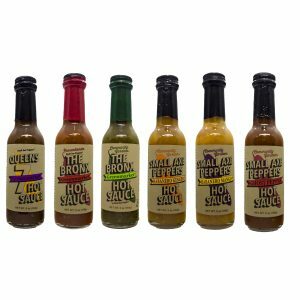 Queens 7 Hot Sauce captures many of the vibrant flavors of Queen’s ethnic neighborhoods in just one bottle. Join us in celebrating the diverse tastes that make Queens great. 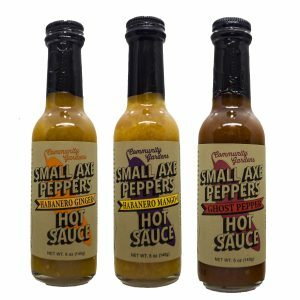 Buy all three hot sauces sourced from community gardens and urban farms throughout New York City. Whether you like the spicy salsa of The Bronx Green, the smooth sweetness of The Bronx Red, or the tingly umami of Queens 7 this is the perfect variety gift pack for New Yorkers past and present.